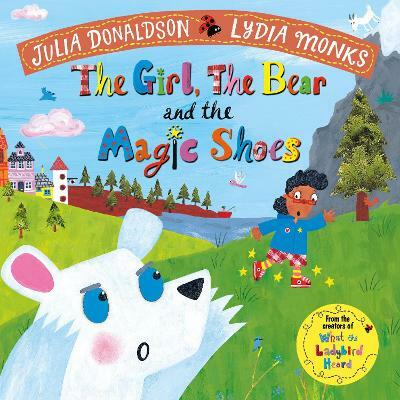 Creators of The Gruffalo, best selling author/ illustrator Julia Donaldson and Axel Scheffler are back with another bestseller on their hands. 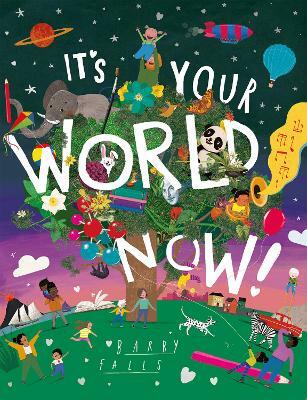 “Stick Man lives in the family tree/ with Stick Lady love/ And his children three”. But one day Stick Man is pounced on by a dog. Help! 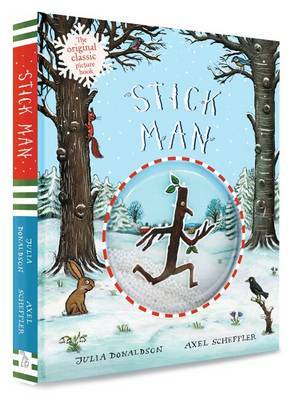 This is not what Stick Man wants….While others find many ignominious uses for Stick Man – a bat, a pen, a bow and a boomerang among others – Stick Man does all he can to find his way back home…And, happily, he does! A brilliant visual treat. 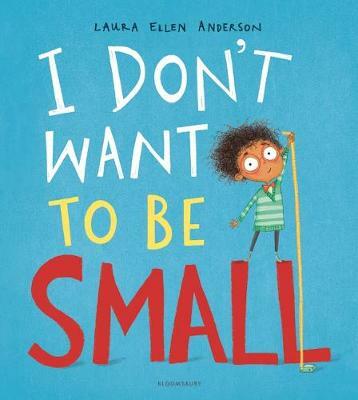 This new picture book classic from the award-winning creators of The Gruffalo is dazzlingly original with a touching and witty rhyming story featuring an unforgettable hero with real sticking power. Stick Man lives in the family tree with his Stick Lady Love and their stick children three. But it's dangerous being a Stick Man. A dog wants to play with him, a swan builds her nest with him. He even ends up on a fire. Join Stick Man on his troublesome journey back to the family tree. 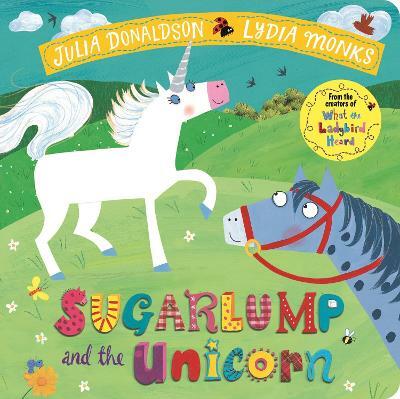 Below are some answers to questions we asked Julia about her book Stick Man. Q. 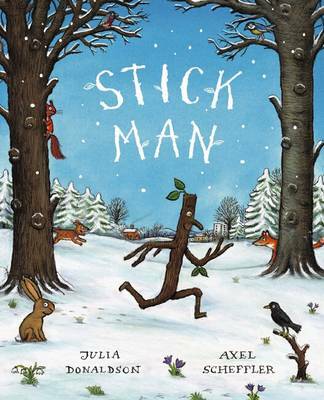 Stick Man is a very original, unusual character. How did you dream him up? A. When Axel Scheffler illustrated The Gruffalo’s Child, he gave her a little stick doll which she carries around with her. I think that’s what gave me the idea. Q. 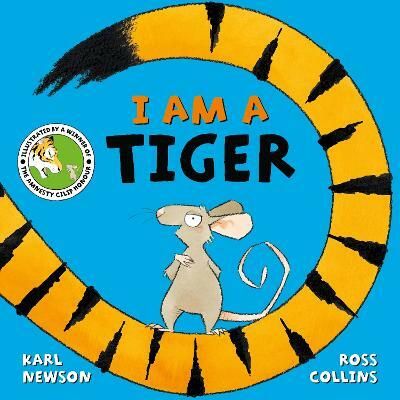 The book is full of read-aloud rhymes. 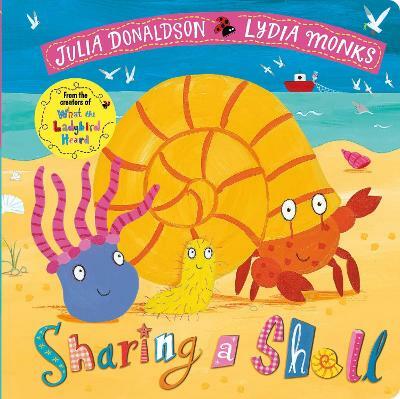 Were there any particular rhymes that you found difficult to make? Do you have a favourite? Q. At one point, Stick Man is mistaken for an ordinary stick and thrown in the river in a game of Pooh-sticks. Did you like playing Pooh-sticks as a child? Are there any other outdoor games you remember from childhood? A. I’m still always up for a game of Pooh-sticks. I used to be a great tree-climber too. When my own children were little our favourite outdoor game was The Three Billy Goats Gruff which we would act out whenever we found a bridge over a stream (and that gave me the idea for another picture book, The Troll, which comes out next year). Q. 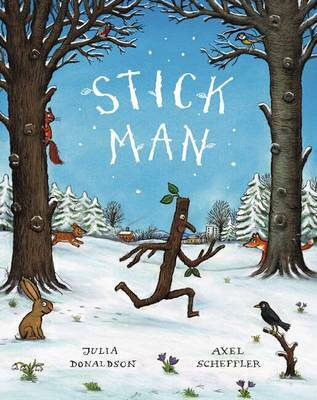 The adventures of Stick Man take place through spring, summer, autumn and winter. What’s your favourite season? A. As a child it was always autumn, because of the colourful crunchy leaves, but now I love spring best. Q. Puppets of the characters in Stick Man are being created for your touring shows. Are you excited to meet your creations in 3D? A. Yes. The Stick Man puppet is wonderfully bendy, with a little sprig of leaves and a mouth which can open and close. And the stick children are three really sweet finger puppets. Q. 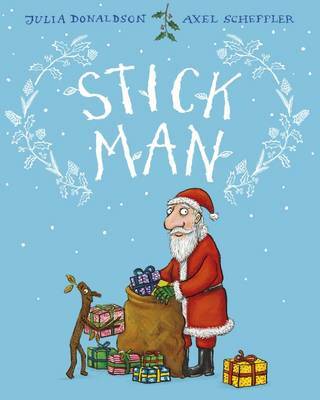 Stick Man is such a brave adventurer – he even manages to save Christmas! 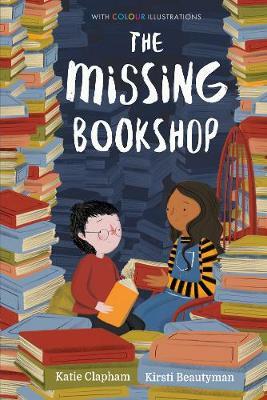 Do you think he’ll be back for more adventures in further books?